Sighthill revamp planned for Glasgow 2018 Youth Games bid. 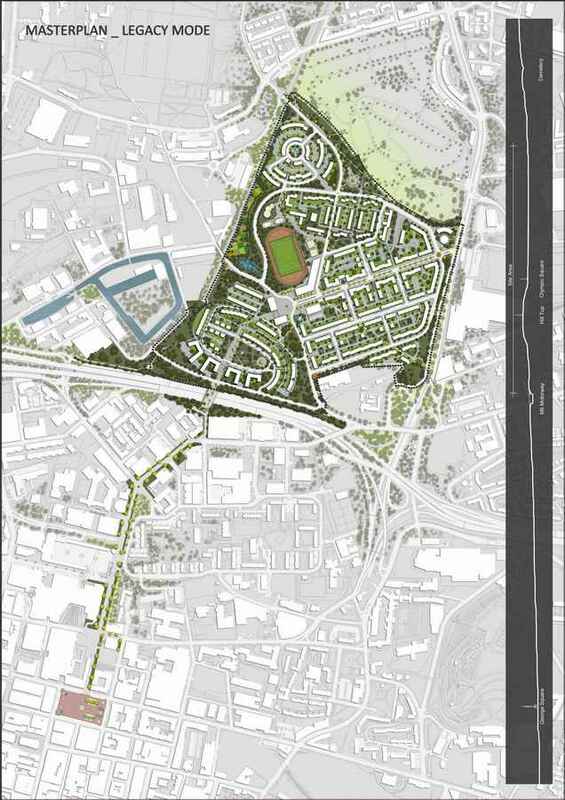 Sighthill has been chosen as the preferred site for the 2018 Youth Olympics athletes’ village if the city secures the games. Glasgow City Council will now revamp the entire area, regardless of whether its bid for the games is successful. The scheme includes plans for 830 homes, a new school campus and the demolition of five tower blocks. Plans to fast-track a major regeneration of a large area of Glasgow as part of the city’s bid to host the 2018 Youth Olympic Games were unveiled today. 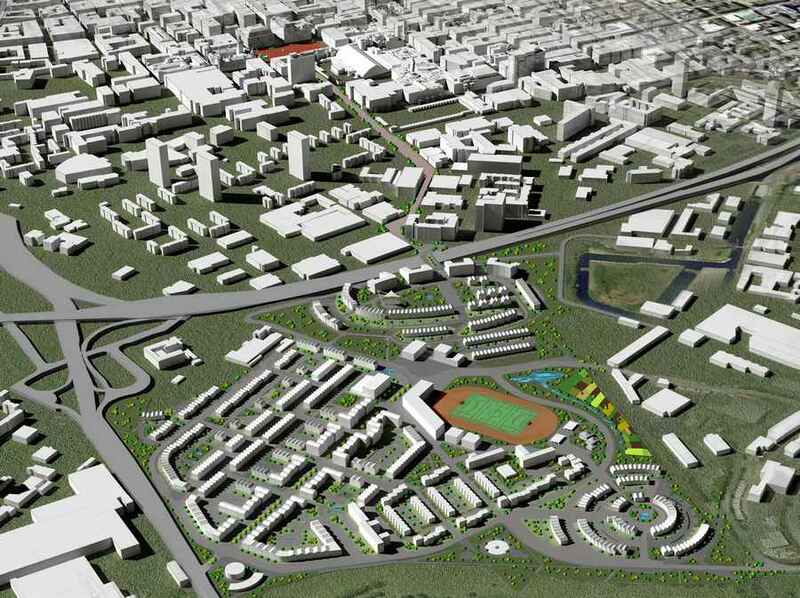 Sighthill has been revealed as the preferred site for the Athletes’ Village if the city secures the Games. The area’s size and location makes it the ideal site for the village. 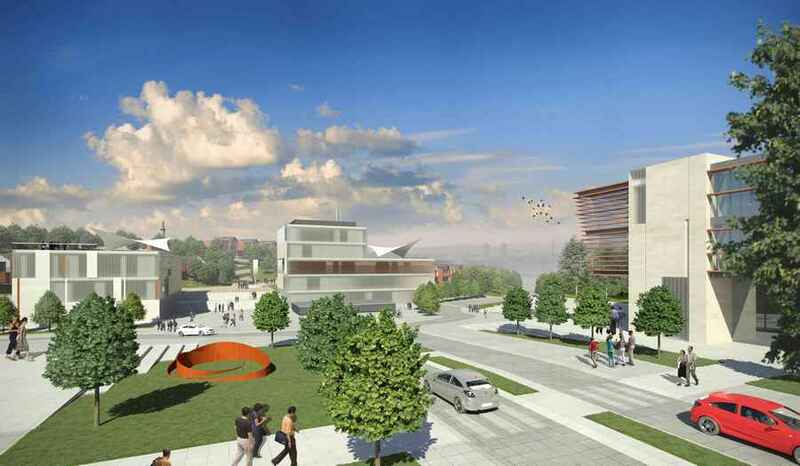 However, because of the short time frame of the bid process, work to transform the community will need to start before the host city is announced. This means the transformation of the area will go ahead up to 20 years earlier than planned regardless of whether the city wins the bid. It is therefore a legacy of the bid itself, which is based on a strong partnership between Glasgow City Council, the Scottish Government and the British Olympic Association, and has the full support of the UK Government. 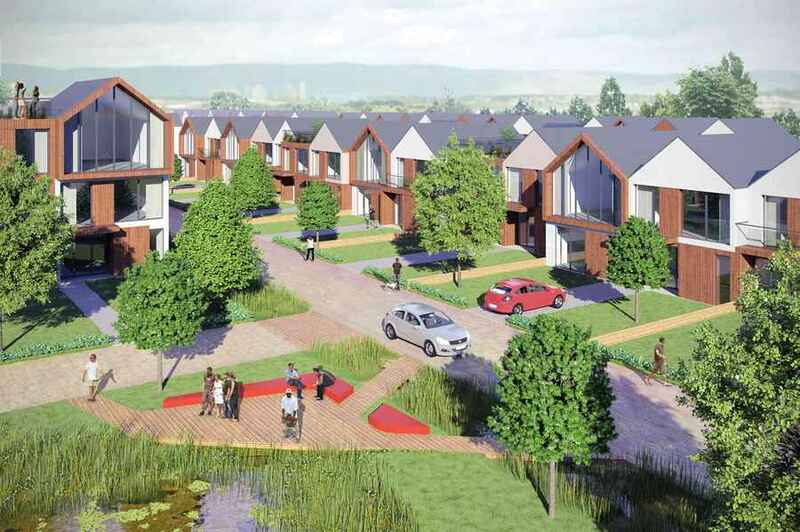 Sighthill, in the north of the city, is the largest of eight priority regeneration areas – known as Transformational Regeneration Areas (TRAs) – in Glasgow. Until now, it was likely to be one of the last of those communities to be redeveloped and the regeneration work would have been up to 20 years away. 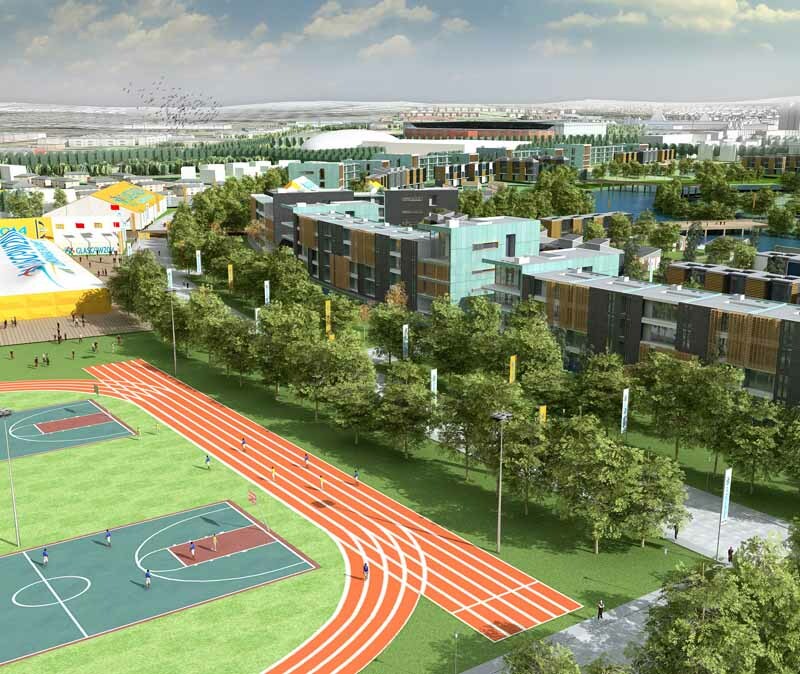 The village would provide accommodation for 6000 athletes and officials and would be on a similar scale to the Athletes’ Village currently being built in Dalmarnock in the east end of the city for the Glasgow 2014 Commonwealth Games. Councillor Gordon Matheson, Leader of Glasgow City Council, said: “The Youth Olympic Games bid has provided us with an opportunity to speed up what will be a generational change for Sighthill. 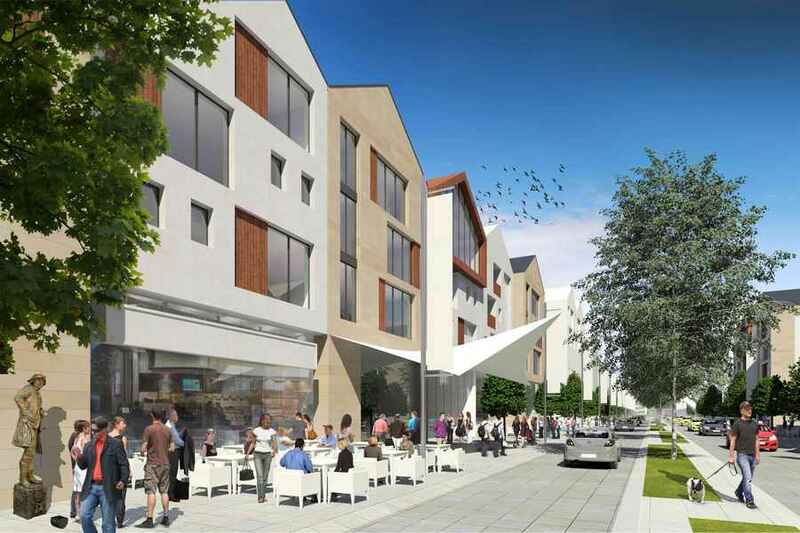 “The bid gives us the impetus to work with the local community and our partners – and to lever in private money – to rebuild Sighthill as a popular and vibrant community. The regeneration of the area was always a priority for the city but the bid means it can now happen much faster than ever envisaged. “The transformation of the area will bring hundreds of new homes for local people, as well as a new school campus, community facilities and better links for pedestrians to the city centre. It will also create jobs and apprenticeship places, and help unlock the development potential of other areas to the north of the city centre. 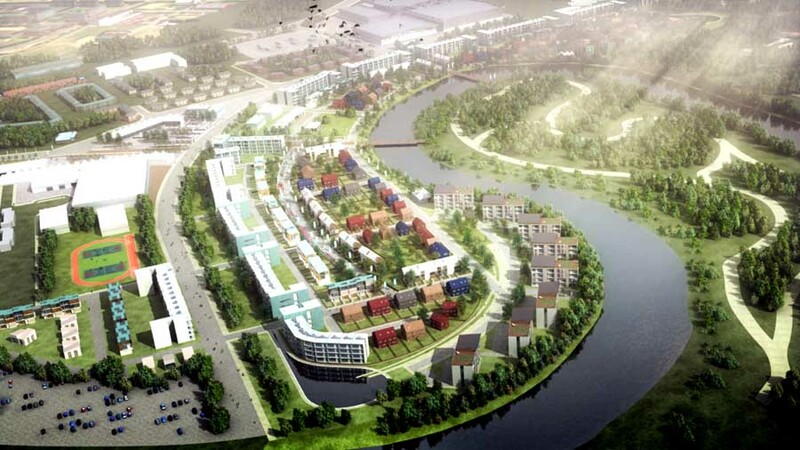 If the bid for the Games is successful, the Pinkston part of the site would be used firstly as the area for the Athletes’ Village before being turned into homes for the people of Glasgow after the 2018 event. Three of the multi-storey blocks at Pinkston were already earmarked for demolition with residents already in the process of being rehoused in other homes. GHA will now be asked to reconsider the future of the remaining two blocks which were previously due to be kept and fully refurbished. The 400 residents from those two blocks will be offered a range of options for moving to a new home. This may include the chance to move to one of the new-build homes in Sighthill or at one of GHA’s other nearby new-build sites such as Barmulloch, Roystonhill and Duke Street/High Street. There will also be opportunities for GHA tenants to move to other new-build homes across the city or to an existing GHA home which has been fully modernised. GHA will meet with each resident individually to discuss options and find out their preferences and needs – for example whether they want to remain in the area or move to another community. They will then begin finding a home that suits their needs. It is expected all residents will be moved into their new homes and the five tower blocks demolished by 2016. The village proposals will be put before the council’s Executive Committee for approval on Thursday 13 September 2012. The Youth Olympic Games is an international sporting event for the best young athletes in the world that aims to inspire young people to participate in sport and adopt and live by the Olympic values. The event will see young athletes (15-18 years of age) compete in all 28 Olympic sports over 12 days of world-class competition. Glasgow became the UK’s Candidate City for the 2018 YOG in February 2012. The 2018 YOG host city will be announced by the International Olympic Committee in July 2013, following a shortlisting process in February 2013. The first summer YOG was held in Singapore in 2010. It broadcast to 160 territories with an estimated audience of more than 247m. The Great Britain team won 13 medals in Singapore (5 gold, 2 silver and 6 bronze). The Games follow the traditional four year cycle with the next summer event being held in Nanjing, China, in 2014. The first winter YOG was held this year in Innsbruck, Austria, and the next will be in 2016 in Lillehammer, Norway.